We are a leading 100% Export Oriented Unit of tasigna, spexib, human menotrophin gonadotrophin, natural micronised progesterone injection, hydroxy micronised progestrone injection and l-ornithine l-aspartate injection from Surat, India. We Salvavidas Pharmaceutical Pvt Ltd are a leading Manufacturer and Exporter of TASIGNA CAPSULE in different strength and packing. Our manufacturing facility is certified with WHO-GMP. 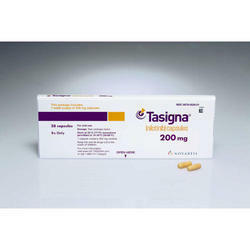 Tasigna (nilotinib) is a cancer medication that interferes with the growth and spread of cancer cells in the body. We are manufacture and export our brand. We also offer private labeling, Contract manufacturing service. We Salvavidas Pharmaceutical Pvt Ltd are a leading Manufacturer and Exporter of SPEXIB Capsules in different strength and packing. Our manufacturing facility is certified with WHO-GMP. Ceritinib is a targeted therapy. It is an oral tyrosine kinase inhibitor. Is used to treat non-small cell lung cancer caused by a defect in a certain gene. 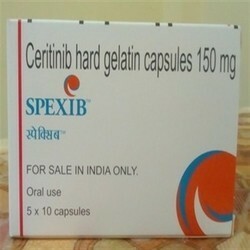 Ceritinib is used when the cancer has spread to other parts of the body. 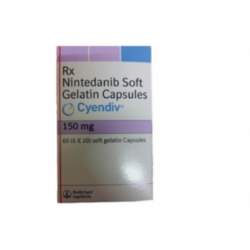 Ceritinib is usually given after other cancer medicines have been tried without success. We are manufacture and export our brand.We also offer private labelling, Contract manufacturing service. We Salvavidas Pharmaceutical Pvt Ltd are a leading Manufacturer and Exporter of Human Menotrophin Gonadotrophin injection in different strength and packing. Our manufacturing facility is certified with WHO-GMP. We Salvavidas Pharmaceutical Pvt Ltd are a leading Manufacturer and Exporter of Natural Micronised Progesterone Injection in different strength and packing. Our manufacturing facility is certified with WHO-GMP. We are the dynamic, business-oriented organization, ranking among the utmost entities in providing a wide variety of Natural Micronised Progesterone 100 mg Injection. Offered range is exclusively formulated using quality confident chemical compounds in observation to international quality standards. Moreover, at our testing labs, these are austerely checked just preceding to deliver to the clients. Offered range is very much praised amongst clients for its usefulness. We Salvavidas Pharmaceutical Pvt Ltd are a leading Manufacturer and Exporter of Hydroxy Micronised Progestrone Injection in different strength and packing. Our manufacturing facility is certified with WHO-GMP. Hydroxy progesterone caproate which is a synthetic form of progesterone hormone. Progesterone is normally found in women and is secreted by the ovaries. Hydroxyprogesterone is used in pregnancy to reduce the risk of preterm delivery. The injection is administered to pregnant women who have had a preterm delivery in the past and are currently pregnant. Hydroxyprogesterone caproate is a synthetic progestin. We Salvavidas Pharmaceutical Pvt Ltd are a leading Manufacturer and Exporter of L-Ornithine L-Aspartate Injection in different strength and packing. Our manufacturing facility is certified with WHO-GMP. We have a combination of L - ornithine L - aspartate 5 mg to fight against severe issues in Liver. We manufacture and export our brand. We also offer private labeling, Contract manufacturing service. We Salvavidas Pharmaceutical Pvt Ltd are a leading Manufacturer and Exporter of Citicoline injection in different strength and packing. Our manufacturing facility is certified with WHO-GMP. We Salvavidas Pharmaceutical Pvt Ltd are a leading Manufacturer and Exporter of Methyl Prednisolone Acetate Injection in different strength and packing. Our manufacturing facility is certified with WHO-GMP. We are engaged in manufacturing, supplying and exporting an array of Methyl Prednisolone Acetate Injections. These injections are processed using Methyl Prednisolone Acetate also known as Prednicare. Our clients can avail from us these injections at the most affordable prices and in packs of 80 mg / 2 ml. The offered acetate injections are widely appreciated in the market for their attributes like high effectiveness, no side effects and precise composition. We Salvavidas Pharmaceutical Pvt Ltd are a leading Manufacturer and Exporter of Nitroglycerin 25 Mginjection in different strength and packing. Our manufacturing facility is certified with WHO-GMP. We Salvavidas Pharmaceutical Pvt Ltd are a leading Manufacturer and Exporter of Streptokinase 15 Lacks I.U injection in different strength and packing. Our manufacturing facility is certified with WHO-GMP. We are engaged in offering best quality of Streptokinase Injection 15,00,000 IU. This Streptokinase for Injection 15,00,000 IU is offered by us to our prestigious customers at market leading prices. Further, the offered Streptokinase for Injection 15,00,000 IU is frequently used in the treatment of Rheumatoid Disorders. We Salvavidas Pharmaceutical Pvt Ltd are a leading Manufacturer and Exporter of JAKAVI TABLAT in different strength and packing. Our manufacturing facility is certified with WHO-GMP. Jakavi is indicated for the treatment of disease-related splenomegaly or symptoms in adult patients with primary myelofibrosis (also known as chronic idiopathic myelofibrosis), post polycythaemia vera myelofibrosis or post essential thrombocythaemia myelofibrosis. Round curved white to almost white tablets of approximately 7.5 mm in diameter with “NVR” debossed on one side and “L5” debossed on the other side. Round curved white to almost white tablets of approximately 9.3 mm in diameter with “NVR” debossed on one side and “L10” debossed on the other side. Ovaloid curved white to almost white tablets of approximately 15.0 x 7.0 mm with “NVR” debossed on one side and “L15” debossed on the other side. Elongated curved white to almost white tablets of approximately 16.5 x 7.4 mm with “NVR” debossed one one side and “L20” debossed on the other side. We Salvavidas Pharmaceutical Pvt Ltd are a leading Manufacturer and Exporter of CANMAB INJECTION in different strength and packing. Our manufacturing facility is certified with WHO-GMP. 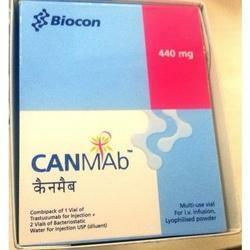 Canmab Trastuzumab is one of a group of cancer drugs called monoclonal antibodies. Monoclonal antibodies are sometimes called targeted therapies because they work by 'targeting' specific proteins (receptors) on the surface of cells. Some cancers have too much of a protein called human epidermal growth factor receptor 2 (HER2) on the surface of their cells. These are called HER2-positive cancers. The extra HER2 receptors stimulate the cancer cells to divide and grow. Trastuzumab locks on to the HER2 protein and blocks the receptor. This stops the cells from dividing and growing. We salvavidas pharmaceutical pvt ltd are a leading prepare and of follicle stimulating hormone injection in different strength and packing. Our manufacturing facility is certified with who-gmp. We prepare and export our brand.We also offer private labelling, contract manufacturing service. We Salvavidas Pharmaceutical Pvt Ltd are a leading Manufacturer and Exporter of Diclofenac Injection in different strength and packing. Our manufacturing facility is certified with WHO-GMP. We Salvavidas Pharmaceutical Pvt Ltd are a leading Manufacturer and Exporter of Octreotide 50 Mcg Injection in different strength and packing. Our manufacturing facility is certified with WHO-GMP. We Salvavidas Pharmaceutical Pvt Ltd are a leading Manufacturer and Exporter of Octreotide 100 Mcg Injection in different strength and packing. Our manufacturing facility is certified with WHO-GMP. We Salvavidas Pharmaceutical Pvt Ltd are a leading Manufacturer and Exporter of Vasopressin Injection in different strength and packing. Our manufacturing facility is certified with WHO-GMP. It is a synthetic polypeptide hormone which possesses antidiuretic activity without any effect on electrolyte reabsorption. Indications : Pituitary diabetes insipidus and bleeding oesophageal varices. 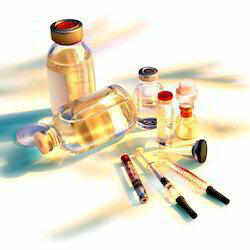 Contraindications : Coronary artery disease and other vascular diseases chronic nephritis. Dosage : 10 units i.m. or s.c. 20 units dissolved in 200ml of 5% dextrose solution slowly intravenously. We Salvavidas Pharmaceutical Pvt Ltd are a leading Manufacturer and Exporter of Terlipressin 1 Mg / 10 Ml Injection in different strength and packing. Our manufacturing facility is certified with WHO-GMP. We Salvavidas Pharmaceutical Pvt Ltd are a leading Manufacturer and Exporter of Methyl Prednisolone Succinate Injection in different strength and packing. Our manufacturing facility is certified with WHO-GMP. Promotes Methyl Parednisolone Sodium Succinate 40/125/500/1000mg in injection against neurological disease and aging relieves burning sensations, numbness, loss of sensation, mudcle cramps in diabetic neuropathy exhibits anxiolyric, analgesic and anti convulsant activiry2.5 time more potent then gabapent in based on plasma concentrations provides early sustained improvement in pain and a beneficial effect on sleep on diabetic. We Salvavidas Pharmaceutical Pvt Ltd are a leading Manufacturer and Exporter of Dopamine 200 Mg injection in different strength and packing. Our manufacturing facility is certified with WHO-GMP. Dopamine works as a neurotransmitter in the brain. It is also converted to norepinephrine, another neurotransmitter. Dopamine increases heart rate and heart muscle contractions. It also causes increases in blood pressure. We Salvavidas Pharmaceutical Pvt Ltd are a leading Manufacturer and Exporter of Noradrenaline 2 Mg Mginjection in different strength and packing. Our manufacturing facility is certified with WHO-GMP. We supply Noradrenaline Injection. For blood pressure control in certain acute hypotensive states. As an adjunct in the treatment of cardiac arrest and profound hypotension. Water for Injection BP: q.s. We Salvavidas Pharmaceutical Pvt Ltd are a leading Manufacturer and Exporter of Dobutamine 250 Mg injection in different strength and packing. Our manufacturing facility is certified with WHO-GMP. Dobutamine is indicated for adults who require inotropic support in the treatment of low output cardiac failure associated with myocardial infarction, open heart surgery, cardiomyopathies, septic shock or cardiogenic shock. Dobutamine can increase or maintain cardiac output during positive end expiratory pressure (PEEP) ventilation. Dobutamine may also be used as an alternative to exercise for cardiac stress testing in patients for whom exercise testing is impracticable. This use of dobutamine should be confined to units where exercise stress testing is routinely performed and the usual monitoring and precautions required for such testing should be applied when Dobutamine is used for this purpose. Presentation : 5 ml clear glass ampoules. Each cartons contain 5 x 5ml ampoules. We manufacture and export our brand. We also offer private labelling, Contract manufacturing service. We Salvavidas Pharmaceutical Pvt Ltd are a leading Manufacturer and Exporter of Heprin 25,000 I.U injection in different strength and packing. Our manufacturing facility is certified with WHO-GMP. Heparin 25000iu injection prevents the formation of harmful blood clots. We Salvavidas Pharmaceutical Pvt Ltd are a leading Manufacturer and Exporter of Urokinase 5 Lacks I.U injection in different strength and packing. Our manufacturing facility is certified with WHO-GMP. We Salvavidas Pharmaceutical Pvt Ltd are a leading Manufacturer and Exporter of XGEVA INJECTION in different strength and packing. Our manufacturing facility is certified with WHO-GMP. Denosumab is a human monoclonal antibody for the treatment of osteoporosis, treatment-induced bone loss, metastases to bone, and giant cell tumor of bone. (denosumab)?XGEVA® is a prescription medicine used to prevent serious bone problems* in patients with bone metastases from solid tumorsXGEVA® is not used to prevent these bone problems in patients with multiple myeloma. Do not take XGEVA® if you have low blood calcium (hypocalcemia). Your low blood calcium must be treated before you receive XGEVA®. XGEVA® can significantly lower the calcium levels in your blood and some deaths have been reported. T Tell your doctor right away if you experience spasms, twitches, cramps, or stiffness in your muscles or numbness or tingling in your fingers, toes, or around your mouth. 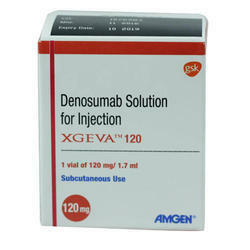 Do not take XGEVA if you are allergic to denosumab or any of the ingredients of XGEVA. Call your doctor or go to your nearest emergency room right away if you have any symptoms of a serious allergic reaction, including low blood pressure (hypotension); trouble breathing; throat tightness; swelling of the face, lips, or tongue, rash; itching; or hives. Dosage - As your doctor / medical practitioner / health consult / nurse / hospital / health care adviser. We Salvavidas Pharmaceutical Pvt Ltd are a leading Manufacturer and Exporter of ERLONAT TABLET in different strength and packing. Our manufacturing facility is certified with WHO-GMP. Erlonat 150mg tablet is an anti-cancer medication. It works by blocking the action of the abnormal protein that signals cancer cells to multiply. This helps to stop or slow the spread of cancer cells. Side effects : Nausea, Vomiting, Fatigue, Breathing difficulty, Abdominal pain, Edema, Weight loss, Loss of appetite, Anemia, Infection, Bone pain, Constipation, Diarrhoea, Fever, Stomatitis (Inflammation of the mouth), Rash. 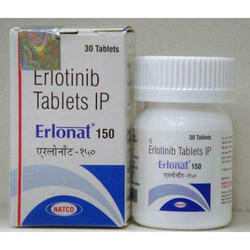 Uses : Erlonat 150mg Tablet is used in the treatment of non-small cell lung cancer and pancreatic cancer. 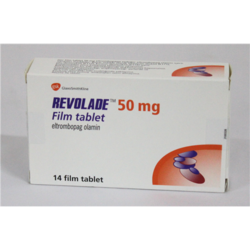 We Salvavidas Pharmaceutical Pvt Ltd are a leading Manufacturer and Exporter of Revolade TABLET in different strength and packing. Our manufacturing facility is certified with WHO-GMP. Eltrombopag tablet / Eltrombopag powder for suspension. Eltrombopag belongs to the class of medications called thrombopoietin receptor agonists. It is used to increase the number of platelets in the blood for adults with chronic (long-term) immune thrombocytopenia purpura (ITP). , chronic hepatitis C virus infection & severe aplastic anemia (SAA) when other treatments have not worked. Eltrombopag works by increasing the production of platelets in the body. REVOLADE is supplied in packs of 28 tablets. REVOLADE tablets are round, biconvex, film coated tablets, and available in different strengths. White, imprinted with 'GS MZ1' and '12.5' on one side. The reverse face is plain. They contain 16 mg of eltrombopag olamine, equivalent to 12.5 mg of eltrombopag. White, imprinted with 'GS NX3' and '25' on one side. The reverse face is plain. They contain 32 mg of eltrombopag olamine, equivalent to 25 mg of eltrombopag. Brown, imprinted with 'GS UFU' and '50' on one side. The reverse face is plain. They contain 64 mg of eltrombopag olamine, equivalent to 50 mg of eltrombopag. A re-usable 20 mL dosing syringe. Each sachet contains 32 mg of eltrombopag olamine, equivalent to 25 mg of eltrombopag, in a reddish-brown to yellow powder for oral suspension. 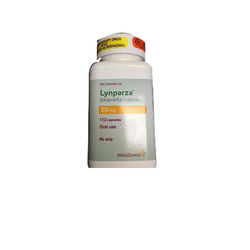 We Salvavidas Pharmaceutical Pvt Ltd are a leading Manufacturer and Exporter of LYNPARZA TABLAT in different strength and packing. Our manufacturing facility is certified with WHO-GMP. The treatment of adults who have a certain type of abnormal inherited BRCA gene advanced ovarian cancer and have received treatment with 3 or more prior types of chemotherapy medicines. Your health care provider will perform a test to make sure that LYNPARZA is right for you. We Salvavidas Pharmaceutical Pvt Ltd are a leading Manufacturer and Exporter of XARELTO TABLAT in different strength and packing. Our manufacturing facility is certified with WHO-GMP. 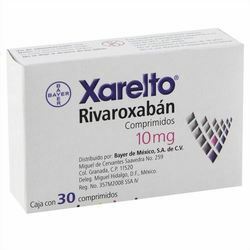 Company Name: Janssen Pharmaceuticals Inc.
Xarelto (rivaroxaban) blocks the activity of certain clotting substances in the blood. We Salvavidas Pharmaceutical Pvt Ltd are a leading Manufacturer and Exporter of CYENDIV Capsules in different strength and packing. Our manufacturing facility is certified with WHO-GMP. Cyendiv is a kinase inhibitor. It works by blocking certain substances that may cause IPF. Nintedanib is used for treating idiopathic pulmonary fibrosis (IPF). We Salvavidas Pharmaceutical Pvt Ltd are a leading Manufacturer and Exporter of KYPROLIS INJECTION in different strength and packing. Our manufacturing facility is certified with WHO-GMP. Kyprolis (carfilzomib) is a cancer medicine that interferes with the growth and spread of cancer cells in the body. 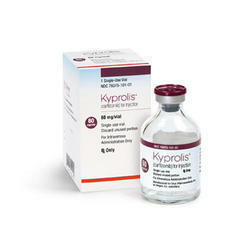 Kyprolis is used to treat multiple myeloma. It is sometimes given in conjunction with other medicines when treating relapsed multiple myeloma who have received one or more lines of therapy. We Salvavidas Pharmaceutical Pvt Ltd are a leading Manufacturer and Exporter of REDITUX INJECTION in different strength and packing. Our manufacturing facility is certified with WHO-GMP. Reditux ra 500mg infusion is a monoclonal antibody that specifically binds to receptors on cancer cells. Thus it flags the cancer cells for destruction by the body's immune system. 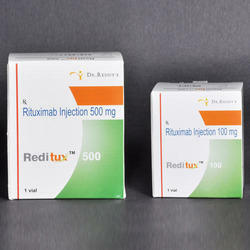 Reditux RA 500mg Infusion is used in the treatment of non-Hodgkin lymphoma (NHL), blood cancer (Chronic lymphocytic leukemia) and rheumatoid arthritis. We Salvavidas Pharmaceutical Pvt Ltd are a leading Manufacturer and Exporter of RISTOVA INJECTION in different strength and packing. Our manufacturing facility is certified with WHO-GMP. Rituximab is a chimeric monoclonal antibody against the protein CD20. 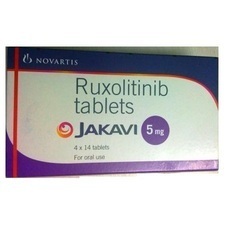 Rituximab is a monoclonal antibody that specifically binds to receptors on cancer cells. Thus it flags the cancer cells for destruction by the body's immune system. 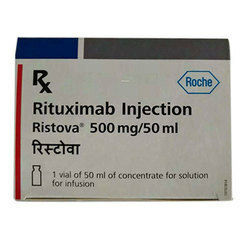 Rituximab Injection is used in the treatment of non-Hodgkin lymphoma (NHL), blood cancer (Chronic lymphocytic leukemia) and rheumatoid arthritis. We Salvavidas Pharmaceutical Pvt Ltd are a leading Manufacturer and Exporter of FASLODEX INJECTION in different strength and packing. Our manufacturing facility is certified with WHO-GMP. 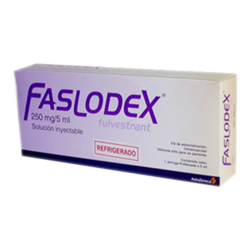 Faslodex (fulvestrant) is an anti-estrogen medication. It works by blocking the actions of estrogen in the body. Certain types of breast cancer use estrogen to grow and multiply in the body. HR-positive advanced breast cancer in postmenopausal women with disease progression following endocrine therapy. FASLODEX is indicated for the treatment of HR-positive, HER2-negative advanced or metastatic breast cancer in combination with Palbociclib in women with disease progression after endocrine therapy. We Salvavidas Pharmaceutical Pvt Ltd are a leading Manufacturer and Exporter of ZOLADEX INJECTION in different strength and packing. Our manufacturing facility is certified with WHO-GMP. 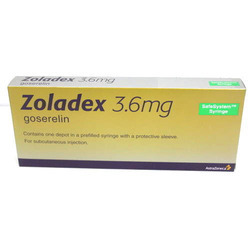 Zoladex (goserelin) is a man-made form of a hormone that regulates many processes in the body. Goserelin overstimulates the body's own production of certain hormones, which causes that production to shut down temporarily. Zoladex is used in men to treat symptoms of prostate cancer. Zoladex is used in women to treat breast cancer or endometriosis. Goserelin is also used in women to prepare the lining of the uterus for endometrial ablation (a surgery to correct abnormal uterine bleeding).